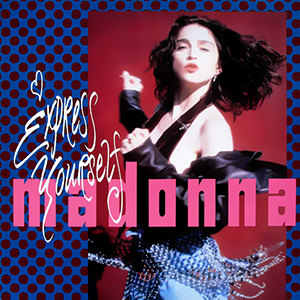 While the massive gospely title track to Madonna’s 1989 Like a Prayer album got all of the attention because of the controversy surrounding the “blasphemous” imagery of the video — and it went to number one anyways — “Express Yourself” is the one that eventually got to me. It could just be me, but I hear classic girl-group Motown all over this one, like a huge Diana Ross and the Supremes — updated, of course, for the late 1980s dancefloor — empowerment anthem. With an absolutely massive singalong chorus.